The DDFT aims to foster, commission and finance dental research by providing grants for the study and development of dentistry. This includes all aspects but, in particular, research into and the study and development of generally accepted dental practices and standards of dental practice as well as related matters and any activity in the field of natural or applied science. The ultimate objective in this regard is to extend the knowledge of the profession and prioritise education for the benefit of sciences allied to the dental profession in South Africa. Financial assistance can take the form of grants or sponsorships for arranging congresses, conferences, lectures, meetings, symposia, public education programmes, seminars for the study, definition or improvement of dental practices or such other activity in the field of dental, natural or applied science for the extension of knowledge. 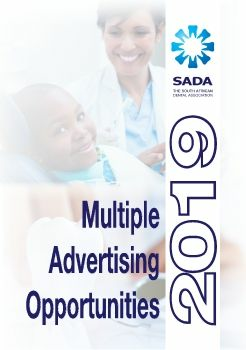 Rules of the DDF Trust require that only individuals who are currently members (of any category) of the South African Dental Association (SADA) and who have been members for at least two years immediately prior to the date of the application for a research grant will have applications reviewed. Grants from the DDF Trust are made to individuals who are currently members (of any category) of the South African Dental Association (SADA) for at least two years immediately prior to the date of the application for a research grant. The DDF Trust will award one research grant per department per research period/year. All documents must be clearly typed / written. The closing dates for applications are a month before the DDFT meeting. In extraordinary circumstances urgent applications may be considered by the Trustees of the Dentistry Development Foundation Trust. A research protocol must accompany all applications for research funds and documentary evidence must be submitted that the project has been approved by the Research and, where necessary, the Ethical Committees of the relevant institution. A referee’s report is required and any other relevant documents requested by the trustees. All running costs must be clearly indicated in the protocol, i.e. whether meant for chemicals, travel or subsistence, films, glassware, data processing, etc. Items that will not be covered include printing, publications and mail costs and expenditure on reprints. a statement on what is planned to be done with the apparatus on completion of the project. It is a condition of the grant that applicants must indicate that they have applied to other funders for financial assistance. Applicants are required to provide full details of the application and the financial assistance received from other funders. Financial support for research assistants will only be considered in extraordinary cases as it is expected that the infrastructure will be supplied by the Institution concerned. If this is not possible, a complete motivation is mandatory. The DDFT shall pay any approved research grant in such instalments, frequency and on such dates which the DDFT in its sole discretion shall determine. Grants which are not taken up within six months after the grant has been awarded will automatically expire, but a re-application can be submitted with a detailed motivation.